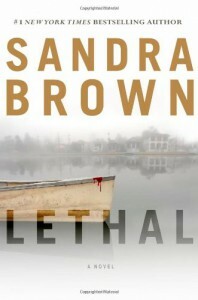 Lethal - Sandra Brown - review - There is a great need for a sarcasm font. Yes, indeed! Simply Amazing!!!! It's a 4.8 stars, the action keeps you reading, the characters are perfectly described, but not too much to bore you with descriptions just enough for you to get an accurately defined mental picture so you completly get inside the story from the first page. It's got nice surprises in the form of twist and unspected turns in the story that keep you turning on the pages. I highly recommend it.